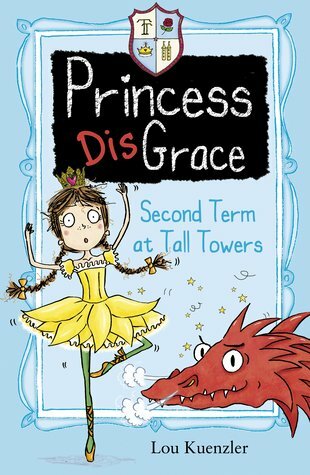 Grace has changed her grubby frock but has she changed her clumsy ways? No? Phew. We like this scruffy princess just the way she is. Think The Worst Witch gone royal. Princess Grace is brave, funny and clever – but NOT graceful. Who cares? Well – she kind of does. Poor Grace. At least she’s made it to her second term. Surely she’ll soon be a perfect princess. Trouble is: friend fall-outs. Dragons. Dances. Talent shows. Just trouble, generally. Will Grace’s second term be a ginormous flop? Or full of excitement, just as she hoped it would be?